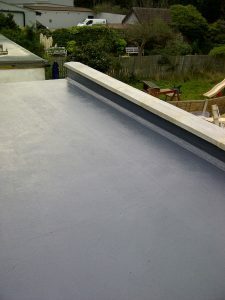 The Permaroof 500 Liquid roof system, is a highly elastomeric continuous waterproofing membrane that can be installed in a single layer with excellent adhesion to all types of surfaces. Permaroof 500 holds ETA Certification for 5 years’ life expectancy, making it an idea solution for waterproofing new builds or restorations. It is particularly useful for roofs that have complicated detailing sush as numerous pipes etc. It is a light grey colour and also available in white providing the aesthetics that are desirable to the building owner. Please ask us for samples.